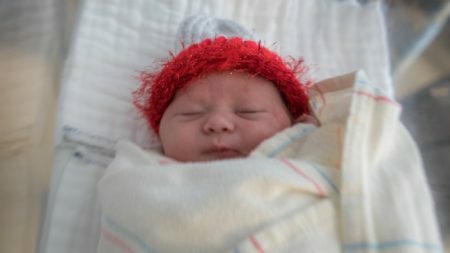 More than 150 babies born at UCLA Health during the month of February are going home with a red caps that were handmade by volunteers from the American Heart Association. 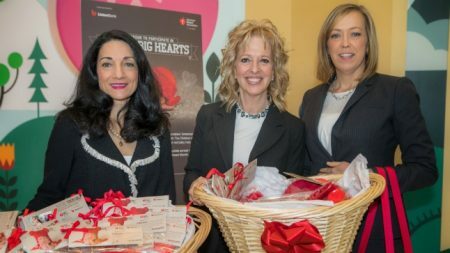 The goal of the Little Hats, Big Hearts campaign is to build awareness for heart disease, the No. 1 killer of Americans, and empower parents and their children to live healthier lives. 1. Get a fetal ultrasound. 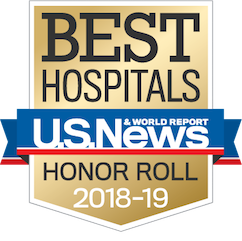 Pregnant women should get a general fetal ultrasound between 18 to 22 weeks of pregnancy to see how the baby is developing and detect possible birth defects, including heart defects. Sklansky discusses three questions women should ask when getting a fetal ultrasound in this video. 2. Watch for signs. Because a newborn’s heart is so tiny—the size of a walnut—it can sometimes be difficult to detect heart defects at an early age. Signs to watch for in infants include breathing hard, unusual perspiration and unusual coloration. Talk with your pediatrician if your baby shows any of these symptoms. 3. Model good behavior. Parents can help set good lifestyle examples for their children by eating healthy foods and by staying active. It’s not always easy to find the time to prepare healthy meals or to exercise, so take small steps to incorporate good habits into your family’s routine. 4. Play more. Limit screen time, be more physically active, and encourage real-life (off the screen) socialization with other kids, suggests Sklansky. The American Heart Association recommends that children and adolescents participate in at least 60 minutes of moderate to vigorous physical activity every day. 5. Get regular check-ups. Every time your child goes for a check-up, the pediatrician will check their blood pressure and listen to their heart with a stethoscope. These regular visits are where potential problems can be detected. “The goal is to build lifelong habits that will help our children stay healthy as adults,” says Sklansky.